Update: Confirmed for US/EU as well. Original story: Recently, rumors were floating around the internets about Nintendo releasing a new handheld sporting spiffy Nvidia guts, but the company quickly shot it down. Then came rumors alleging a new version of the DSi was on the way touting larger screens. Again, Nintendo chalked it up as mere speculation. But now, that latter “speculation” has been confirmed to be true. Nintendo has officially revealed the Nintendo DSi LL. The “LL” stands for the portable’s “extra large size” screens. Just how large? The LL carries 4.2 inch screens, in comparison to the original DSi’s 3.25 inches. According to Nintendo, the DSi LL will be a welcome addition to people who want to use their DSi for internet or as a music player. And hopefully the new screens will be a benefit to us gamers, as well. The LL will come with two styli and three pre-installed DSiWare titles. It’ll be released in Japan on November 21 for ¥20,000 ($220 USD) and will come in three flavors: Dark Brown, Wine Red, and Natural White. 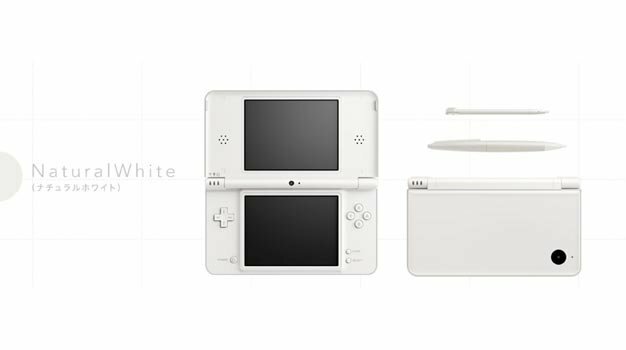 No word yet on dates or prices for areas outside of Japan, but we have a feeling this new DSi will make its way overseas somehow.